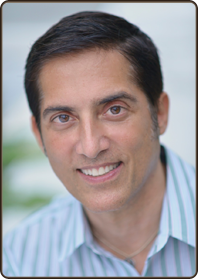 Recognized as one of New York’s premier orthodontic providers for children, teens, and adults, Dr. Frank Andolino has worked in orthodontics for more than 26 years, partnering with Dr. Brendan Boylan in 1990 and taking over that practice in 2009 as Andolino Orthodontics. He is committed to providing his patients with the most advanced treatment options combined with traditional, hands-on care to ensure the unique needs of each patient are met. Dedication, experience, and respect – Dr. Andolino works hard to make sure that his patients achieve the beautiful and healthy smile they have always wanted. Dr. Andolino’s professional education includes receipt of a D.D.S. (Doctor of Dental Surgery) from Georgetown University School of Dentistry in 1986, a one-year general practice residency program at the Mount Sinai Medical Center in New York and a two-year orthodontic and dentofacial orthopedics residency program at Columbia University. Dr. Andolino stays current on the latest orthodontic treatment options through the continuing education programs offered by the professional societies of which he is a member. Learn more about Dr. Andolino’s qualifications by reviewing his curriculum vitae. Dr. Andolino was recognized for outstanding and meritorious service to the profession of dentistry and to the community by induction as a fellow of the American College of Dentists (ACD) and the International College of Dentists (ICD). Dr. Andolino also was invited to be a member of the New York Academy of Dentistry. Membership in each of these three societies is by invitation only. Dr. Andolino is committed to bringing advanced dental care to those in need. He has been a voluntary emergency medical practitioner in New York City’s Medical Reserve Corps since its founding after the terrorist attacks of September 11, 2001. He is a first responder for the city’s Bureau of Emergency Management, based on his belief that rapid emergency response helps provide communities with a timely return to stability. Dr. Andolino also belongs to numerous national and international dental and orthodontic organizations. He participates in programs that bring advanced medical, dental, and orthodontic concepts to developing countries and sits on the American Dental Association (ADA) steering committee for International Development. In keeping with this interest, he is co-founder and executive director of Kageno, a multifaceted community development project that transforms communities suffering from inhumane poverty into places of opportunity and hope.